Margam Castle is a breath-taking mansion house built in the 1830’s by Christopher Rice Mansel Talbot who was a parliamentarian for Glamorgan. Although called a castle, it is actually one of the many “mock” castles that was built during the Gothic revival in the 19th century. The house is now left untouched, but certainly not unloved… and as you step through the entrance hall you will be certain to just stop in pure amazement to gaze at the dramatic Gothic staircase that gives Margam Castle the wow factor! 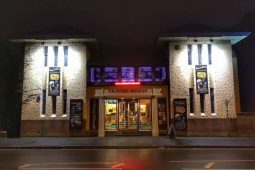 Fright Nights South Wales invite you to take part in a night of ghost hunting at one of the most actively haunted venues in this beautiful part of the country. The spirit of Robert Scott is said to frequently communicate with guests at the castle. Robert was a gamekeeper that worked at the castle for many years and was murdered by a poacher. He has been seen ascending the staircase and standing in one of the archways to the left of the hollow stairs. It is also believed that he is drawn to the courtyard area and the old brewery which is now an empty tower. Anyone who has encountered the spirit of Robert say that he is consumed with rage over his unjust killing, and members of staff avoid the areas they feel belong to him! Robert is said to have slammed doors and thrown objects during past investigations. Robert is one of many spirits to have an attachment to Margam castle. The vision of a large figure has been seen by many, particularly by grounds maintenance and gamekeepers, whilst working in the castle park. The figure is known to staff as “The Blacksmith”. Spirit children are also said to roam the vast castle grounds, also making their way into the building. Reports have been made of running footsteps and chattering voices. 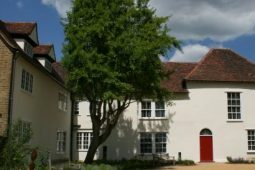 During our site visit, a member of staff spoke of her first experience in the castle of coming in to unlock with a colleague, and hearing shrieking voices (like children playing games and chasing each other) with the castle being so remote there is no possibility this could have been anything other than the spirit children of the castle. Margam castle is full of energy, and the perfect place to spend the night and hopefully experience something really exciting! Margam castle sits in 850 acres of diverse parkland within which there is evidence of over 4000 years of continuous habitation! The history can be traced back to pre-historic times with discoveries such as relics from the bronze age and iron age, as well as evidence of Roman and Celtic occupation. This makes the site a rare and extremely valuable learning resource and heritage attraction. The neighbouring Norman Abbey was founded in the 12th century and was in use until it’s dissolution at the hands of King Henry VIII. Following this, successors to the parkland rebuilt houses on the Abbey site. The Orangery was built at the end of the 18th century and remains one of the largest and magnificent buildings of its kind throughout Wales. Margam Castle was built at the turn of the 19th century and remained in use until the second world war. After the war ended, Margam castle was sadly abandoned and left to deteriorate. 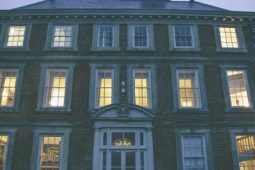 It was neglected for nearly a quarter of a century until being reacquired by the present owners… who have now opened the country park up to the public, and the castle to paranormal groups. 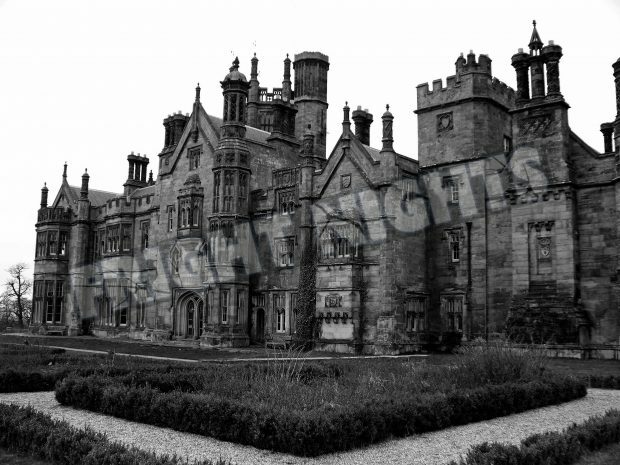 Fright Nights South Wales have hired Margam Castle for the night for a very exclusive ghost hunt. 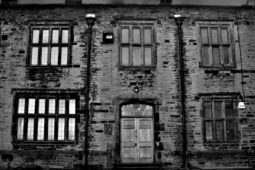 You will be joined by experienced paranormal investigators and mediums to try and experience paranormal activity in one of the most haunted buildings in South Wales. Full use of ghost hunting and psychic equipment will be provided as well as hot refreshments throughout the night. Please note: Over 18’s only and NO pregnant women allowed as per our insurance cover. Venue is usually unsuitable for disabled guests due to the nature of the buildings, but if in doubt, please contact us for more information. NO accommodation is provided unless specifically detailed. For more information please see our full terms and conditions here. All our events are fully insured, and a First Aider will be present. This event is organised by Fright Nights South Wales. With thanks to Gemma Snow of Fright Nights Cambridgeshire for the Research & Detailed Write-up for this event. Event categories: Ghost Hunts.Event tags: Apparition, Castle, Castles, Divina-tion, Elemental, Equipment, EVP’s, Expert, Friday, Fright, Fright Nights, Ghost, Ghost Hunts, Ghosts, Glass Divination, Hall, Halls, Haunted, Haunted House, House, Hunt, Investi-gating, Mansion, Mansions, Medium, Mediums, Mill, Mills, Nights, Ovilus, Paranormal, Paranormal Investigation, Poltergeist, Rem Pod, Saturday, Séance, SLS Camera, Spirit, Spirit Box, Spirits, Table Tipping, Venue, and Workhouse.